Master Box Dimension : 16" X 13" X 20"
Watch the police toy airplane drive itself with the bump and go action, once it runs into an obstacle it will turn itself and continue on its way. 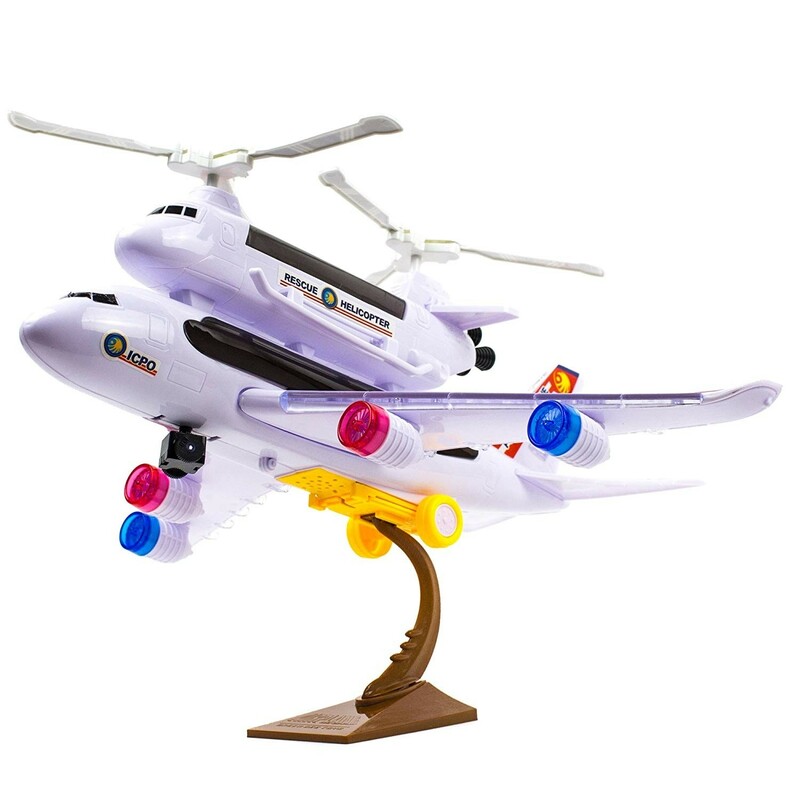 Police airplane comes with colorful flashing LED lights and sounds as it goes. Plane also comes with an attached rescue helicopter that can be easily assembled.